Condensation, frost or ice in an attic can damage structures and can result in wet or moldy insulation. When insulation gets damp it does not insulate as well as it should. Proper venting helps to dissipate humidity and moisture in the winter and helps to remove excessive heat in the summer. 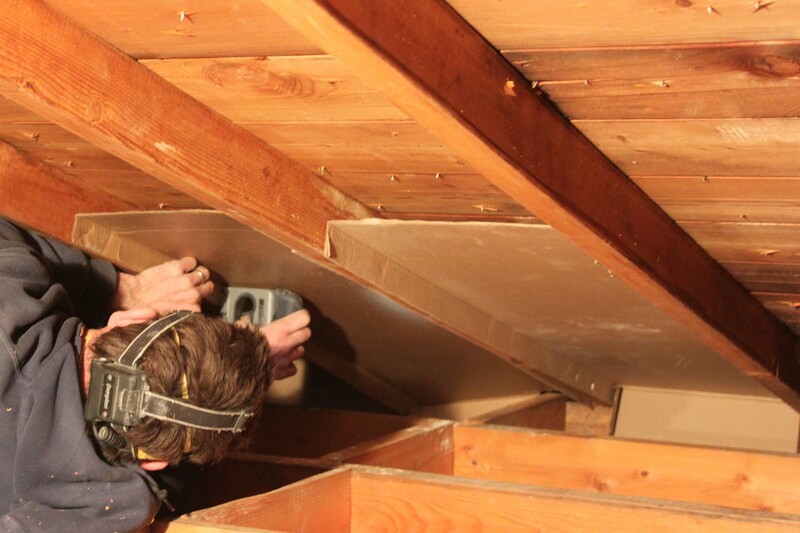 An attic insulation upgrade is not complete without giving attention to ventilation. To minimize condensation in an attic, we want to make sure your attic is “breathing” well. To achieve proper convective air flow, we’ll check your roof vents, gable vents and soffit vents to make sure they’re working properly. Although not all houses have gable vents or soffit vent capability, we will consider ways to augment attic venting or to make the existing venting work better. If the house has soffit venting, air-flow chutes (otherwise known as insulation stops) can be installed to keep the soffit vents from becoming plugged with insulation during an upgrade. We use roof vents like the Airturn 85 which will not allow infiltration of blowing rain or snow. If a house is experiencing major problems with condensation, the Duraflo Weatherpro Turbo roof vent is the way to go. This vent sits high on the roof and will not cover with snow, thereby allowing for excellent year-round attic ventilation. To help remove humidity from the house, Above All Insulation can supply/install a new bathroom or kitchen exhaust fan and proper ducting. If your existing fan is fine, we can make sure that it is ducting properly through the roof. Leaks from poorly-attached hoses can cause moisture build-up in the attic.